Peter Sprague | Insist On It! Coming to you surrounded by blues jazz guitar riffs as funky as they come. 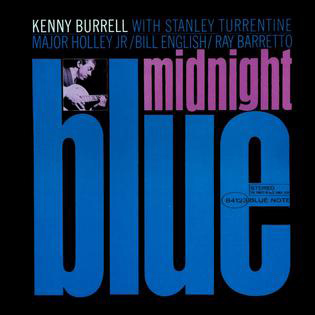 It’s Kenny Burrell and Stanley Turrentine greasing up “Chitlans Con Carne” from his 1963 Midnight Blue recording. What a vibe, what a sound! It fits this early grey day perfectly and it’s not downer material, instead there’s hope and redemption buried inside those bent notes and sharp nine chords. 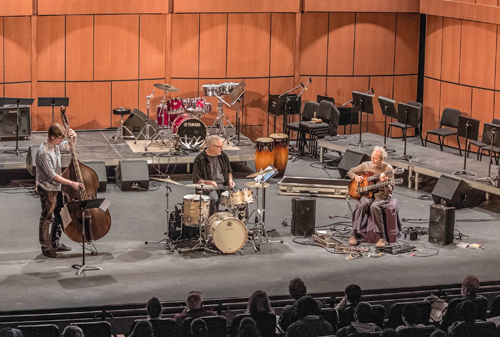 Maybe I’m onto this flavor of jazz guitar this morning as a result of thinking back a week or so to the Orange County house concert that NYC guitarist Roni Ben-Hur and I had the pleasure of partaking. 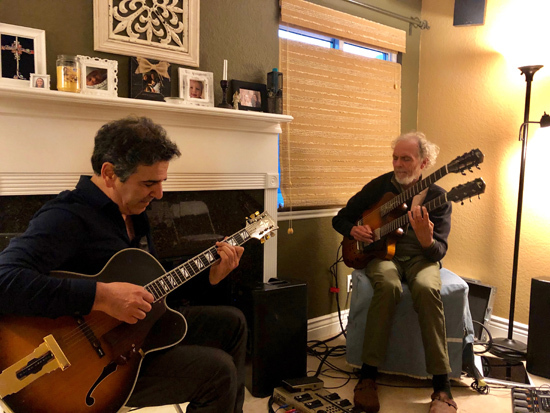 Great jazz guitar times two all built into a cozy house with enthusiastic fans and wicked good chocolate chip cookies. Roni plays up a storm and you couldn’t find a kinder soul this side of the Mississippi. I’m looking forward to the next time he glides into the west coast and we’ll try for another gig, hopefully this time in San Diego. I’ve been surfing down south! Two weeks ago my daughter Kylie and I took on the CBX border crossing in San Ysidro, (easy), the T.J. airport customs cue, (confronted with a mega slow moving line and hit with a hidden “tourist” tariff), walked the corridor to the actual airport check-in, the hectic and once again snails pace Volaris Airlines cue to check in luggage and the surfboard, and finally getting on the actual airplane, (easy spiced up with a sigh of relief). 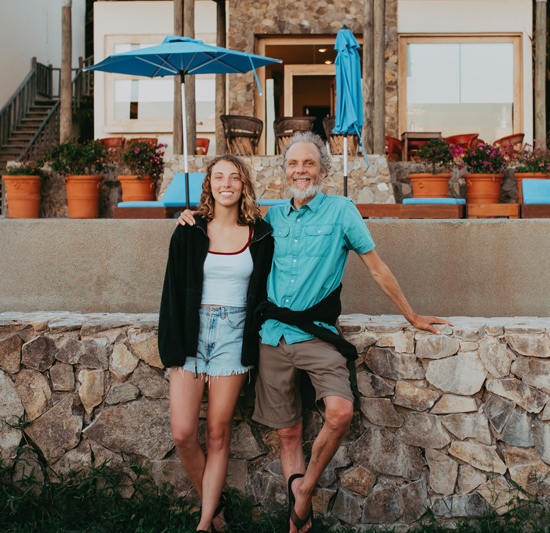 The plane flew and took us to Mazatlan where we were then picked up by the Cardon Surf Resort crew and trucked an hour and a half to their magic remote surf spot. 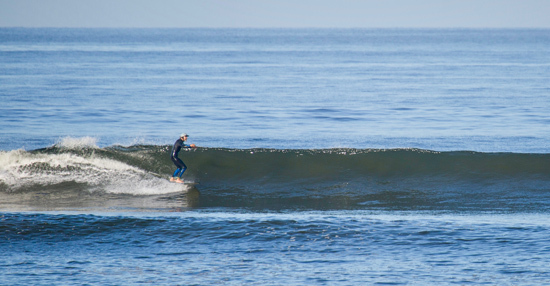 Up early, surf left sliders for several hours. Go big on breakfast with granola and fruit including heaps of papaya. 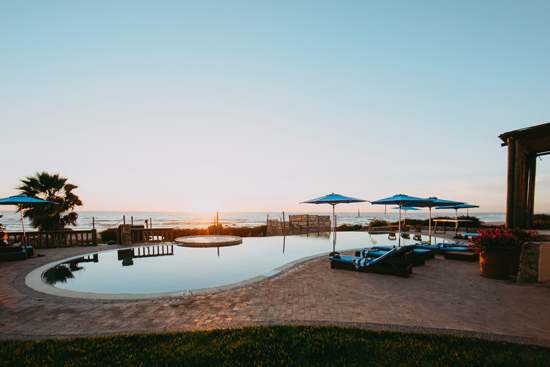 Hang around the pool under the umbrella with guitars and books. Lunch with the best chips and guacamole ever invented. Surf again but this time the wind is on it so it’s a short session. Warm way up in the jacuzzi. Practice extremely complicated Billy Childs music to stay in the game for two upcoming May gigs. Dinner with the whole crew under the stars. Watch a movie with Kylie (Green Book esta bien!). Xerox 6 copies of this schedule and live ‘em again in realtime! The ride home was so much easier. 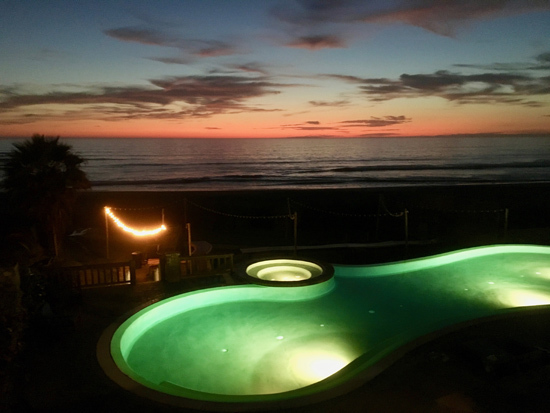 Relaxed with a layover day in Mazatlan (crazy town), the CBX crossing lived up to it’s easy promise and sooner than you know it we’re back into the U.S. and zipping on home. It’s great to be home and what a fun trip! The setup with the fancy pool! I was so thrilled that Kylie wanted to go on this trip with me! PS switching foot on a slider left at Cardon. 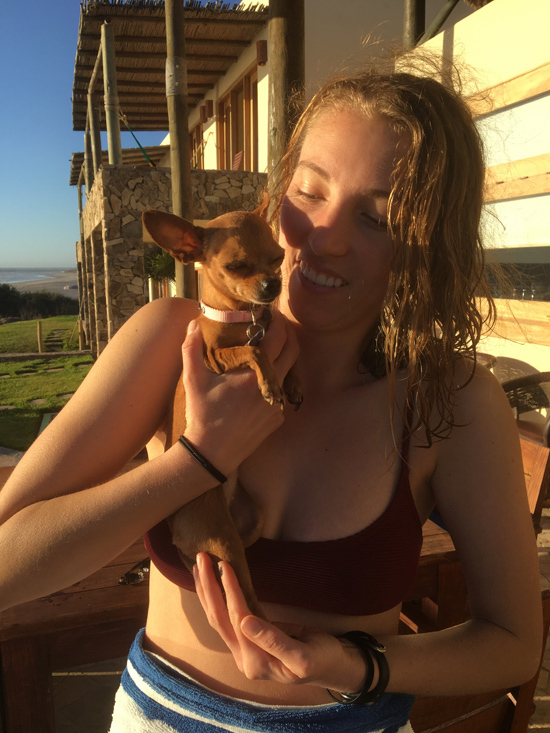 We discovered a super mini chihuahua that lives at Cardon! Here’s Kylie and little Mocha. 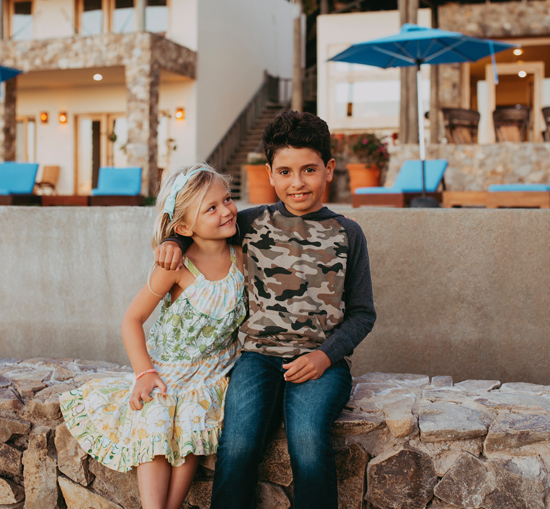 Speaking of small, here is Scarlett and Logan, two adorable and astute mini humans. PS backside and the wind would come up pretty early in the day so early morning raids were the call. Here’s the whole crew of happy surf folks! 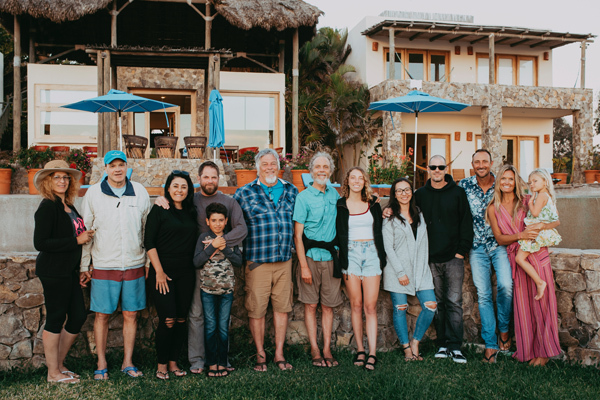 Left to right, Briz and Nick from NYC, Deborah, Keaven and Logan from PB, Kirk from LA, PS and Kylie, Jen and Zoran from LA, Nate, Courtney and Scarlett from San Diego. The pool at night with the party lights illuminating the outside dinner area. 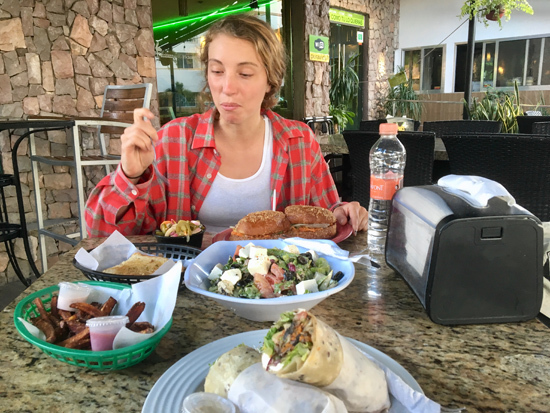 On our way home we had a day layover in Mazatlan and we found this killer health food restaurant called Puravida. We ordered a TON of food! Gearing up for live music this week, on Sunday late afternoon we’re playing a trio hit at the Handlery Hotel. It’s Mack on bass, Duncan on drums, and me on the twin neck. We three met up yesterday at SpragueLand to form a plan and it’s looking and sounding good including a first time ever to be played new one of mine called “Insist On It”. Remember those old Tide laundry soap ad taglines? “Don’t just try it, insist on it”! Vintage stuff, vintage blues! The music setup at the Handlery Hotel is full on listening with a great sounding room and tah da, ample parking! Hope you can make it out and see you then. The trio with Mack, Duncan, and Peter.